Square back and arm Eastfield sofa available in a selection of faux and genuine leather choices. Suitable for commercial uses. Delivered direct from the factory on a 20 day lead time. Top quality contract grade sofa with a square back and arms. 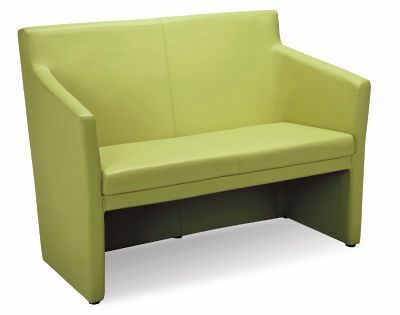 Popular sofa for use in cafes, bistros and bars. Choose from a wide range of vibrant colours.